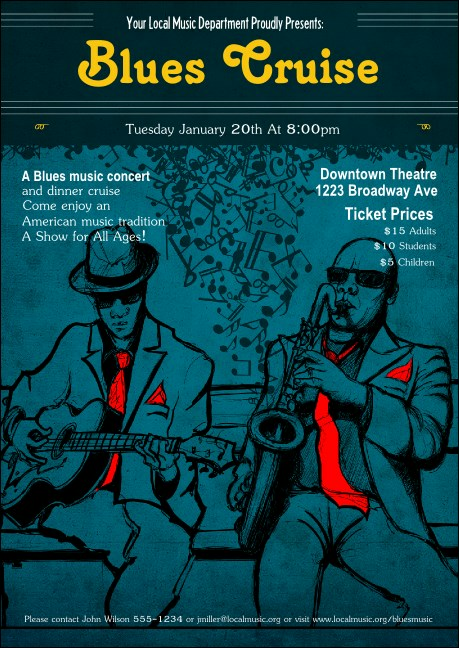 Add another piece to your promotional ensemble with the Blues Cruise Postcard. Drawings of two musicians decorate this design, with musical notes coming out of the saxophone. Coordinate your marketing with tickets, flyers and posters in a Matching Event Kit. Find unique promotions at TicketPrinting.com.